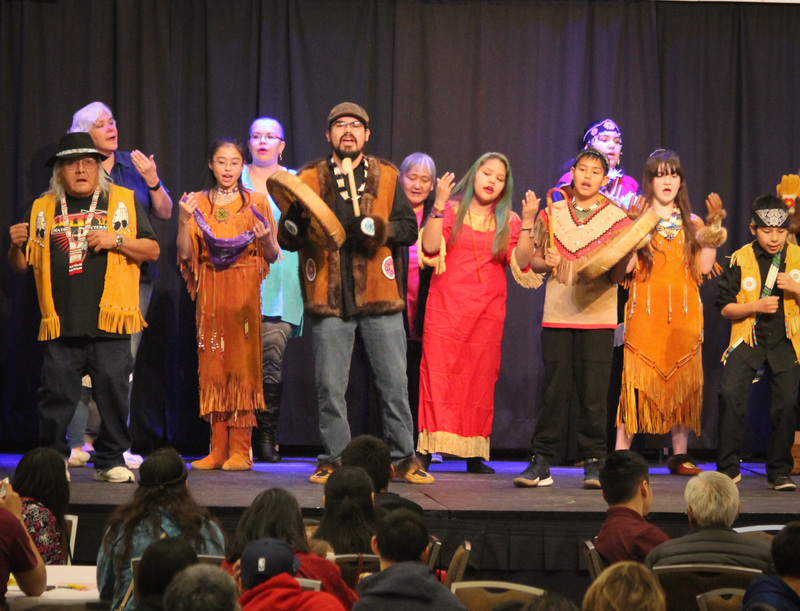 The Acilquq Dance Group performing an invitational song on stage to kick off the second day of this year’s Elders and Youth conference in Anchorage. The three-day gathering of more than a thousand people from across Alaska takes place just ahead of the Alaska Federation of Natives convention each fall. Today heard a keynote address from Clare Swan, a Dena’ina Athabascan elder from the Kenaitze tribe on the Kenai Peninsula. Swan’s speech focused on the changes she’s seen in her lifetime, including the effects of commercial pressure on subsistence fishing, and population growth in Southcentral Alaska. In spite of immense changes, Swan told the younger generation much of their work remains the same as decades ago. The conference held break-out sessions focused on regional and language issues, as well as workshops on topics as varied as moose-hid tanning and cedar weaving to suicide prevention and college prep advice. The audience also heard about a change in security protocols at this year’s AFN, which kicks off Thursday. AFN board member Georgianna Lincoln said there will be metal detectors at the entrances of the downtown Dena’ina convention center. AFN’s Director of Communications Jeff Silverman clarified that the decision to install metal detectors was made by the Dena’ina Convention Center. He added the move isn’t a response to any specific threat, but was a “sign of the times.” Items prohibited will include explosives, alcohol, drug paraphernalia, as well as noise-makers, signs bigger than 14 inches and large objects that could be used for demonstrations. Though there will be exceptions for elders and artists entering the building, attendees are warned there could be long lines on Thursday morning. Today also saw the launch of a new political group meant to bolster native influence in elections and legislation. The new entity, Native People Action, “aims to ensure traditional values are reflected in tribal, local, municipal, state and federal government.” Executive Director Grace Singh said part of the groups focus is mobilizing new voters on issues of public safety, education and aspects of traditional life like subsistence — as well as providing information to voters ahead of the 2018 elections. 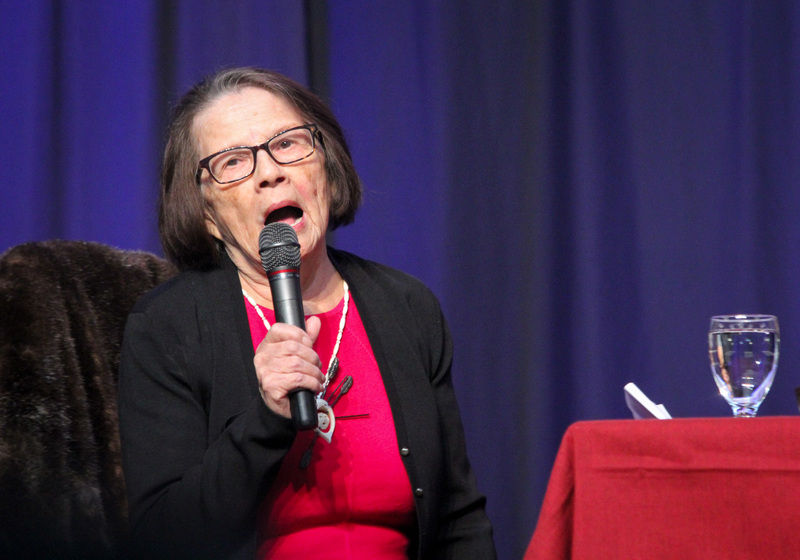 The 34th annual Elders and Youth conference wraps up Wednesday.